The lie that poor, innocent DeAndre Harris had been viciously attacked by Neo-Nazis and white supremacists in Charlottesville had been spread half way around the world by Shaun King and the mainstream media before I arrived home. 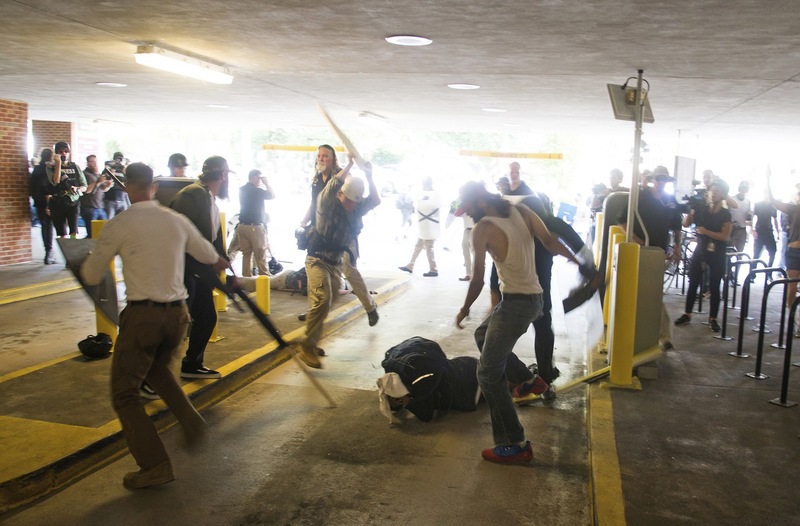 I knew from our people that they had been followed and attacked by DeAndre Harris and his friends while returning to their vehicles in the Market Street Parking Garage. The clip that was circulating on television had been deceptively cut to show only the aftermath rather than the full context of the incident which provoked the melee. Can't load tweet https://twitter.com/occdissent/status/900584290009980928: Sorry, you are not authorized to see this status. I contacted The Daily Progress and NBC 29 about the video. I sent it to detectives at the Charlottesville Police Department. I told the Associated Press what really happened in Charlottesville. I played the video in person on my smartphone for a news crew from Atlanta that was interviewing me about the arrest of Alex Michael Ramos. We bombarded reporters with the video of DeAndre Harris attacking with the mag lite on Twitter. No one was interested in investigating or reporting the truth. (Emphasis added). A mag lite is one of those flashlights made out of metal—it's a lethal weapon. Many people have died from blows to the head with one—see the (white) victim being bandaged above? Wallace has more, but the point is that neither the police nor the MSM were interested in any violence committed by DeAndre Harris—nothing happened until someone (presumably a victim) went to a magistrate and swore out a warrant privately. The beating, which was captured on camera and quickly spiraled across the internet, occurred after a white supremacist tried to spear a counter-protester with a flag pole, the Washington Post reported in August. Then, Harris — a former special education instructional assistant — swung a flashlight at the man, possibly striking him, according to the Post. Several white men descended on Harris, and images showed them kicking and hitting him with what appeared to be poles while he’s curled up on the ground. But for the facts, see the Occidental Dissent version.